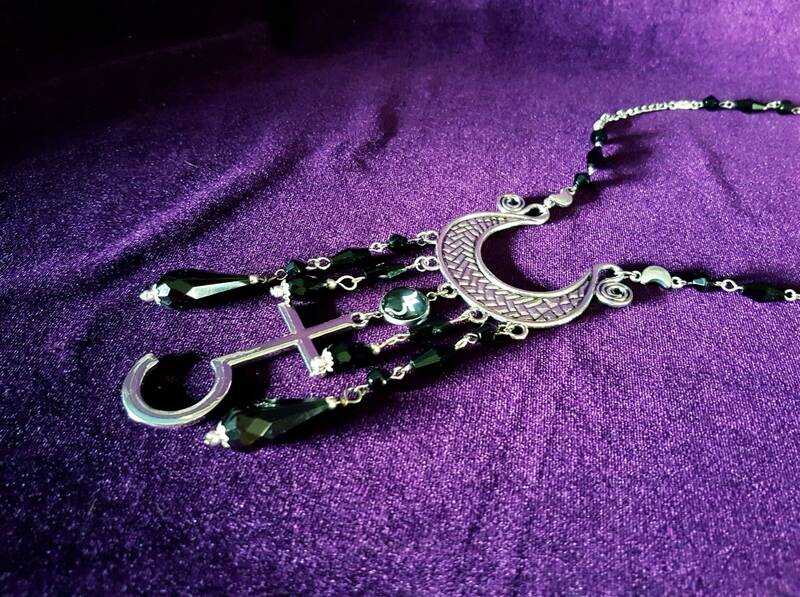 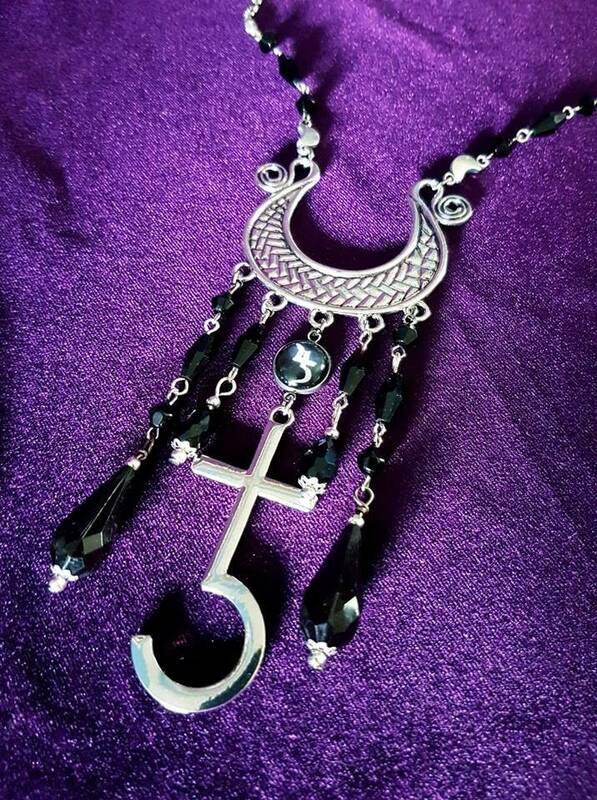 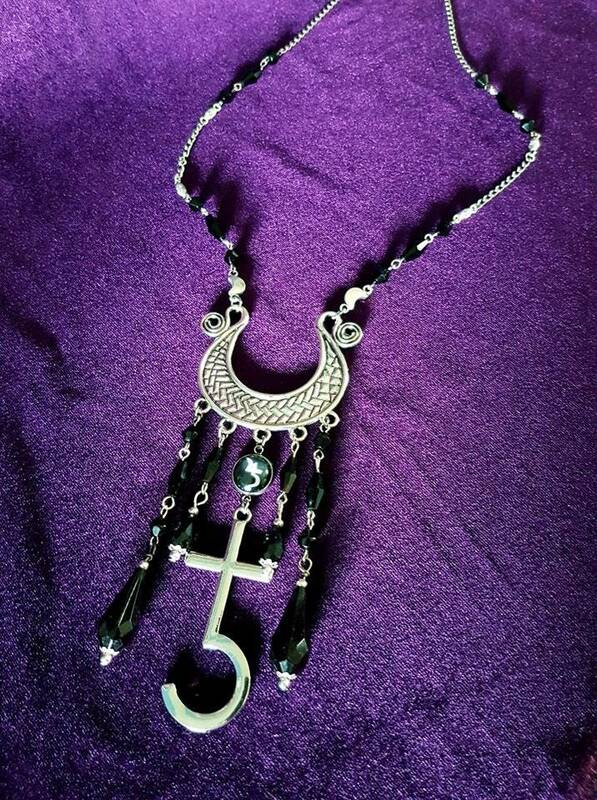 - 52cm long chain with black beads and crescent moons. 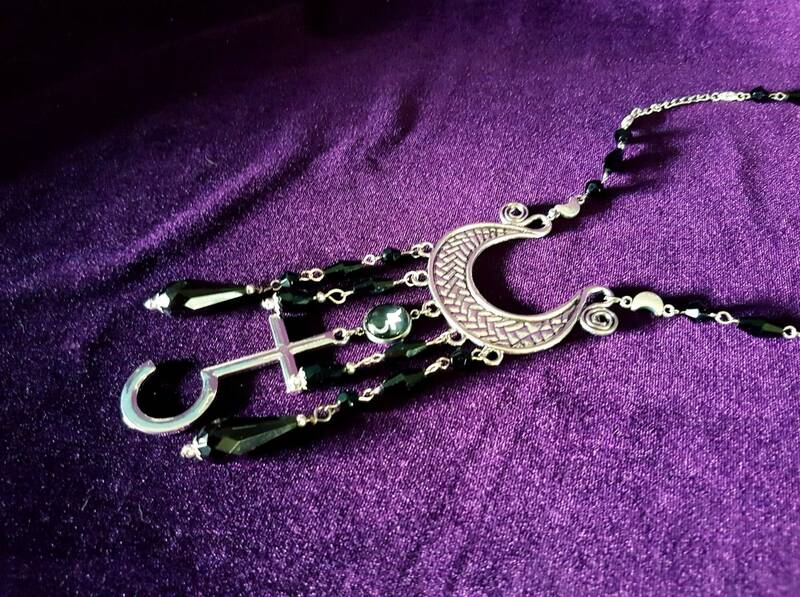 - Crescent Ornament ( double sided ). 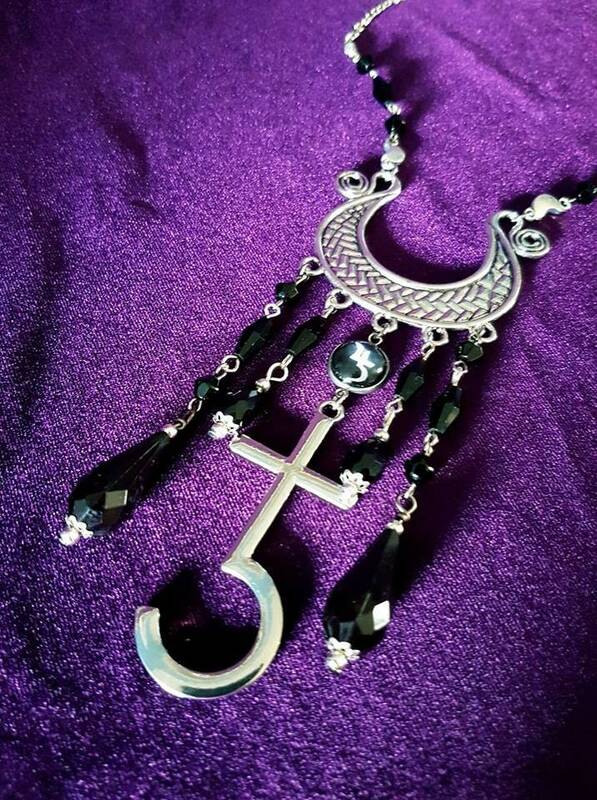 - Mini Jusa symbol ( Jupiter & Saturn combined ). 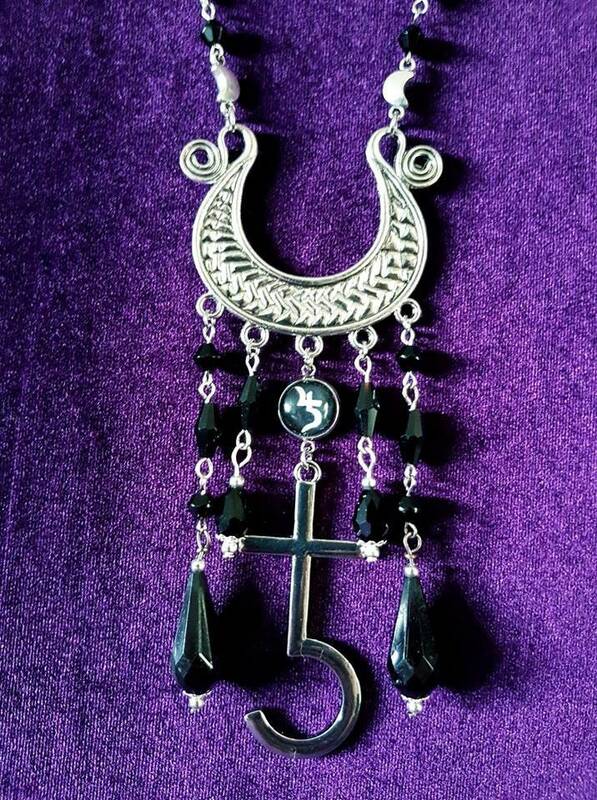 - Saturn sign (6cm in lenght). 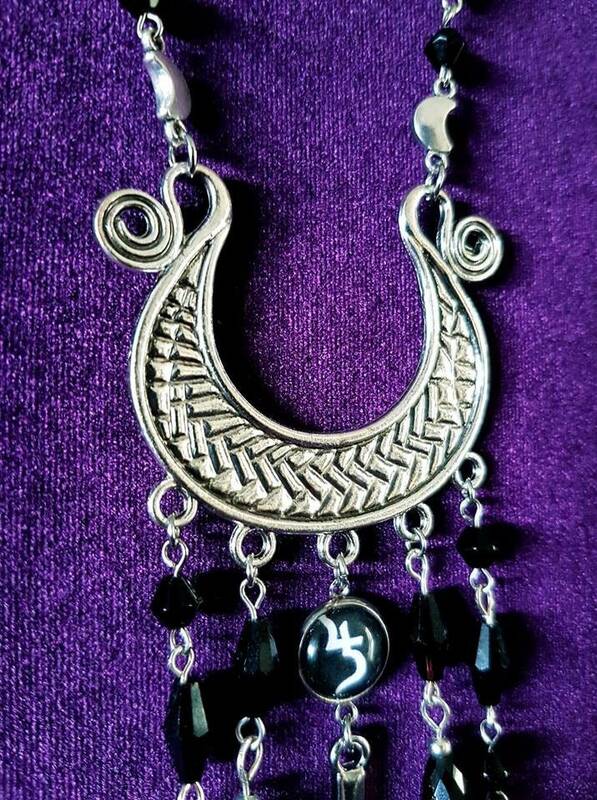 - Lots of traditional hanging black beads.